Clarifying Day Oil cares for oily or impure skin with enlarged pores by regulating skin oil production and revitalising the pores. It relaxes the skin and encourages the activities of the sebaceous glands to normalise. Why should Normalising Day Oil be used for oily or problematic skin? Skin pores become lazy and the skin less elastic when night cream is constantly used and/or with inadequate cleansing. 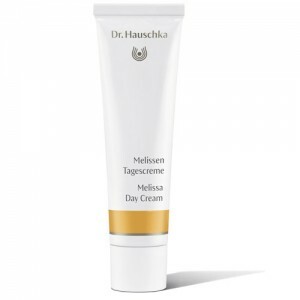 As a result, skin dependency on the cream develops. This causes the pores to lose elasticity and visibly enlarge. However, this is not just a visual problem, when the pores lose their elasticity, they lose their balance. The sebaceous glands then activate to normalise the situation and produce more oil (sebum). Oily skin is symptomatic of over-active sebaceous glands and too rapid cellular renewal, which causes the skin to become over-sensitive and prone to inflammation and pimples or blackheads. If harsh astringents are used to remove excess oil, this exacerbates the problem. Anthyllis Vulneraria Extract, Prunus Armeniaca (Apricot) Kernel Oil, Prunus Amygdalus Dulcis (Sweet Almond) Oil, Arachis Hypogaea (Peanut) Oil, Daucus Carota Sativa (Carrot) Root Extract, Hypericum Perforatum Extract, Triticum Vulgare (Wheat) Germ Oil, Calendula Officinalis Flower Extract, Melia Azadirachta Leaf Extract, Simmondsia Chinensis (Jojoba) Seed Oil, Fragrance/Parfum*, Citral, Limonene, Linalool, Citronellol, Geraniol, Farnesol, Benzyl Benzoate, Benzyl Salicylate, Eugenol, Theobroma Cacao (Cocoa) Seed Butter *purely from essential oils and plant extracts - does not contain synthetic fragrance. 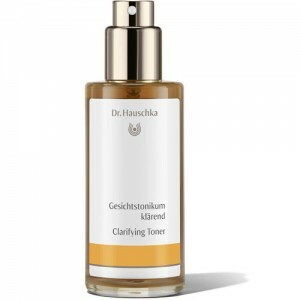 Use in the morning after cleansing cream and facial toner or clarifying toner. Tap 3 or 4 drops of Normalising Day Oil into the palm of your hand and gently apply to the face, neck and earlobes, pressing gently until it is absorbed. For dry skin with large pores, mix Moisturising Day Cream and Normalising Day Oil together, whatever your skin type, if you wish to have some protection against windy weather, just add 1 or 2 drops of Normalising Day Oil to the Moisturising Day Cream or Rose Day Cream before applying. Oily or acne skin should be treated to a weekly warm oil pack. Just warm about 6 drops of oil in a spoon over a boiling kettle (for example) and apply to your face and neck. Leave for 5 minutes, then run your flannel under the hot tap, wring it out, and hold to your face to compress the oil into the skin. Use a tissue to absorb any excess. 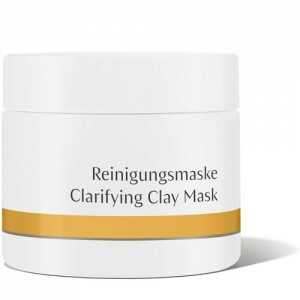 If necessary, oily or acne skin can also be treated to a cleansing mask - first steam your face using Facial Steam Bath (diluted in water), then mix up the Cleansing Clay Mask and apply to your face. Leave for 3-10 minutes (depending on your skin) and rinse off thoroughly. 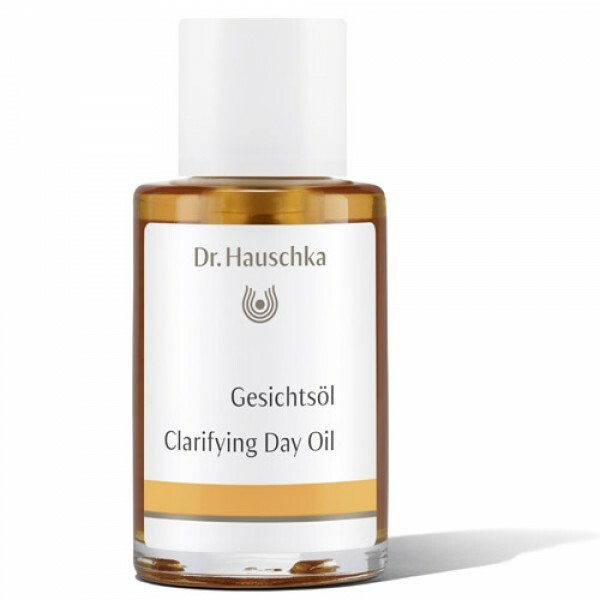 Normalising Day Oil, or indeed any of the Dr.Hauschka moisturisers, should not be used at night time as the Dr.Hauschka regime believes that the daily use of night creams can mean that the skin becomes dependant on an external source of moisture rather than producing its own. If you have been using night creams for a long time, then your skin may need extra support in the changeover period to Dr.Hauschka, and in this case, we recommend a course of the Rhythmic Night Conditioner ampoules.